The 5-Factor Diet and Fitness Program was designed by nutrition and fitness expert Harley Pasternak, M.Sc when the demands of his celebrity clientele necessitated the development of an effective but quick weight loss system. Harley designed the 5-Factor System for his celebrity clientele who wanted a program that could fit their lifestyle. This included diet combined with an effective exercise regimen. With his knowledge and expertise, Harley came up with an easy to follow plan that works but can still fit into a busy lifestyle. The 5-Factor System is followed for five weeks. The idea behind the eating and exercise plan is to help provide foundational new lifestyle habits that embrace healthy dietary guidelines and regular exercise so when the diet "ends" dieters know how to continue to fit healthy choices into their busy lives. Another reason dieters grow weary when trying to follow a diet is that it can get complicated trying to prepare healthy meals. For those who don't feel they have the time to prepare healthy meals, the 5-Factor Diet helps people learn how to create tasty, healthy meals using just five ingredients, and to make it even easier, these quick meals can fit into any schedule because they only take five minutes to make. 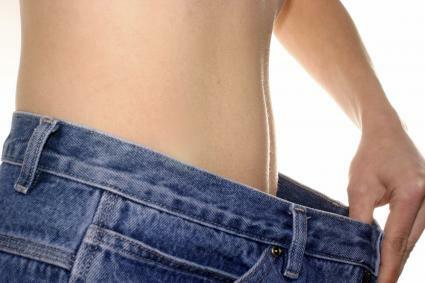 Most lose-weight-fast schemes promise quick weight loss without the effort of regular exercise. With Harley's fitness training he knows exercise is part of a healthy fitness program, but to keep it realistic for the busy person, instead of sweating it out for hours in a health club or gym, Harley came up with a plan that requires shorter exercise intervals of 25 minutes, five days a week. The 5-Factor System also takes into account that no one is perfect, and that life can sometimes sabotage even the most determined dieter when there is no leeway in what you can eat. To help dieters stay on track, five cheat days are scheduled into the diet. These scheduled cheats, or "controlled cheating" are an aspect of the diet that offers a measure of freedom Harley believes helps people reach their weight loss goals. Even with the five-ingredient, five-minute recipes available on this diet, if you feel you won't stick with making these easy meals, there is a meal delivery plan available. Harley Pasternak understands the dilemma of a busy life and has made meal delivery part of the 5-Factor System, if you need it. Meals following 5 Factor recipes are tailored to suit your personal tastes and are delivered to your home each day by 7:00 a.m. The 5-Factor Fitness Program can be purchased online. It provides everything you need for menu plans and recipes using the key five ingredients. Other items included are a diet journal for the five weeks and a DVD for days one through five. This diet and exercise plan offers structure and is based on healthy foods.